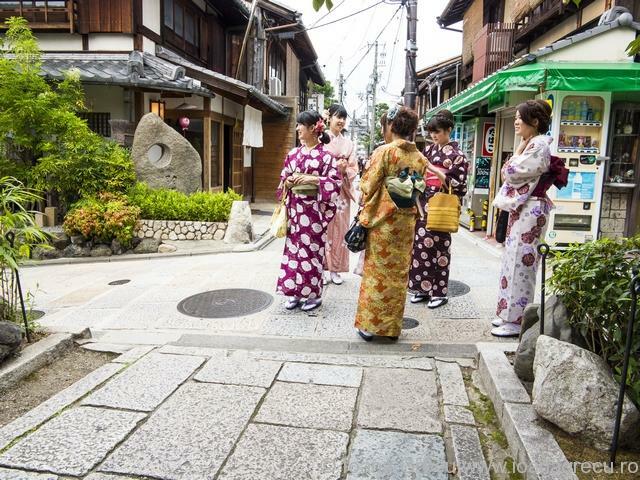 Many tourists expect to get off the plane in Japan and find a world of people wearing kimonos and going about their daily lives in full traditional attire. Landing in Tokyo the first thing that strikes you is the masses of people wearing what seems to be standard uniform of dark business suits, women will wear skirts, black shoes and the compulsory umbrella. Rain tends to catch you by surprise in these parts of the world. You see very little variation in what people wear around the city. The elderly will stick to muted dark colors, mostly brown, and the young will be doing their best to quirky when not in school uniform. Go to Harajuku and you’ll see what I mean. Visit Ginza in the evening and you will see the rich wearing their best clothes with coiffed ladies wearing stilettos roaming the streets. But kimonos? Nope, none, I have seen two ladies on the train that was taking me to the airport from Tokyo, when I flew back home. Now, Kyoto is another story. 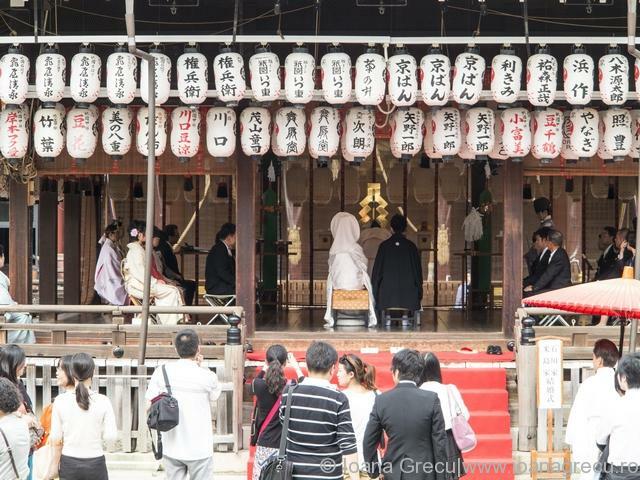 People will dress up, especially in weekends, to go to the many important temples and shrines in the this former imperial capital. 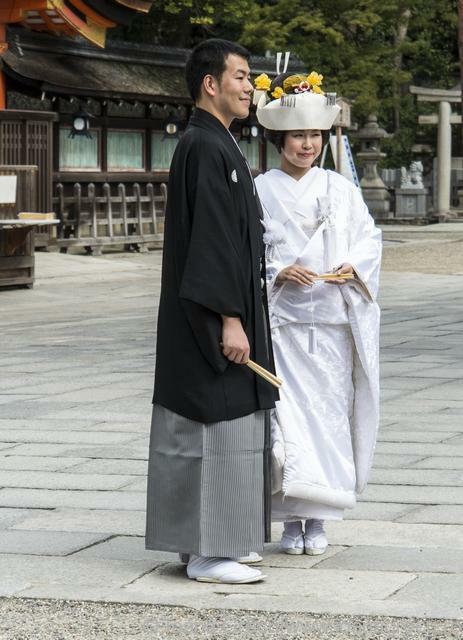 Girls will wear beautiful yukata, the summer kimono, and occasionally you will see a silk kimono on a more mature lady, and, maybe you are lucky enough to see a traditional wedding. 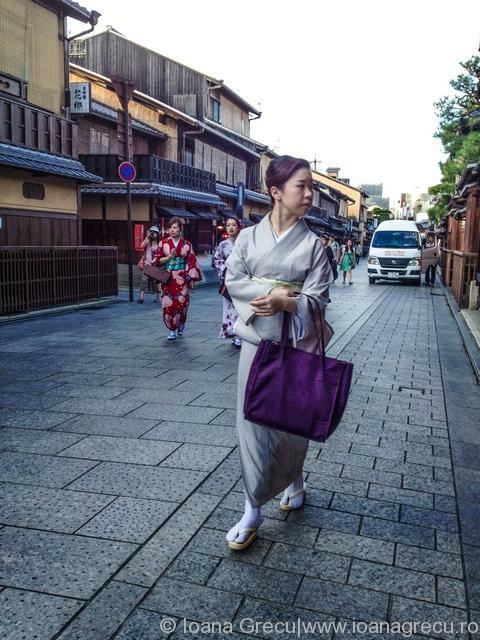 In Kyoto I walked quite a lot around Gion, the world of flowers and weeping willows, land of geisha of old times. 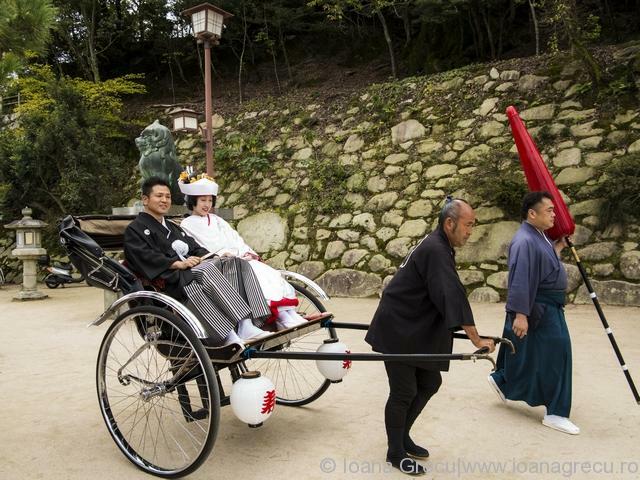 Let me tell, you’re not gonna see geisha and maiko going around for tourists to take photos of, actually, if you don’t really know what a geisha is you will not see them at all. Maikos are the apprentice geishas, the ones who’s faces will be painted with white, have intricate wigs, and who will wear the most colorful kimonos with long sleeves, but a geisha will wear an understated yet expensive kimono, simple make up and hair. 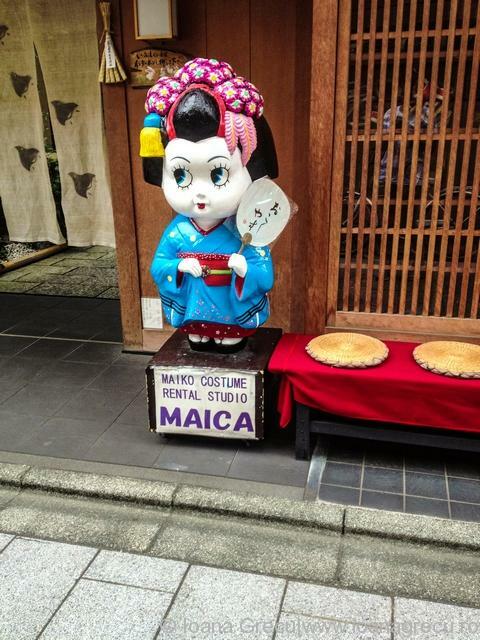 There are also shops that offer tourists and japanese people alike the opportunity to be wear and be photographed in maiko attire. I have seen a few girls doing this. Now, in all that time in Kyoto I have seen one geisha and one real maiko and I have no photos to prove it as I am not really the kind who will go and put a camera in a person’s face. I have seen people going to Japanese girls wearing kimonos and asking them for photos, but I just found this to be a bit too aggressive, I for one would not like it. 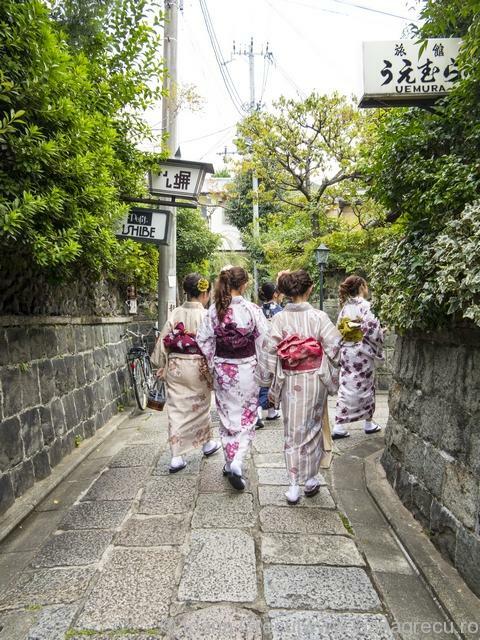 Kyoto is a magical place, geisha or not and I can’t recommend it enough, although the place I liked the most was Miyajima, but about it in another story.